Sustainability — Valley Pallet Inc.
Environmental stewardship is a primary mission at Valley Pallet. We strive to set the standard in pallet recycling and feel that it is our responsibility to bring efficiency and innovation to the industry. Valley Pallet is setting the standard in the recycling of wood waste by exploring the evolving world of environmental responsibility. We are always looking for more efficient ways of repairing, recycling, and reusing wooden pallets. 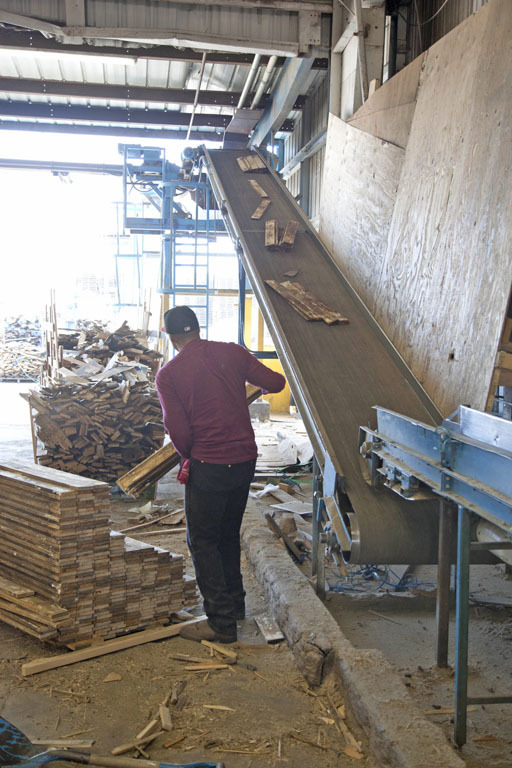 Each nonstandard and un-repairable pallet that enters the facility is dismantled and all salvageable material is recycled, re-cut, and used for reconditioned pallets. Non-salvageable material is sent through a grinding machine and used for particle board, OSB, mulch, and co-generation fuel for the production of environmentally friendly fuel. With unsalvageable material comes a great landscaping opportunity. This material can be ground up and made into beautiful landscaping mulch. Valley Pallet offers reliable and lasting mulch that can be customized with various colorant by Amerimulch. Our mulch is truly the definition of sustainability and environmental stewardship. Check out the series of data sheets from Nature's Packaging on how wood-based packaging and pallets are sustainable, responsible and economical.